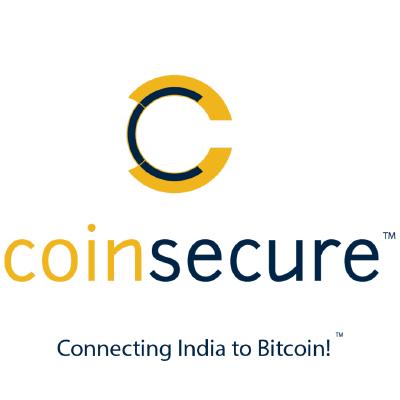 Coinsecure, the leading India-based bitcoin exchange in market share which specializes in buying and selling bitcoin in Indian rupee has launched a new trading platform. The company has the fastest real-time bitcoin exchange trade engine in India. The engine uses a hybrid wallet solution to store client funds safely in cold storage with a small percentage of funds in the hot wallet for immediate withdrawals. 24-hour liquidity at the time of writing sees Coinsecure with ₹5,28,13,652.14 or 342.70 BTC in volume. The company has over 50,000 users and offers exchange, wallet, merchant payment gateway and API capabilities. An interesting note is Coinsecure’s fund raising activity this month on BnkToTheFuture, a global online investment platform that brings financial innovation & technology investment opportunities to investors. So far $201,193.48 USD has been raised by Coinsecure out of a goal of $1 million. The minimum investment goal is set at $500,000. The company is looking to ramp up services to further reach the population of India, much of which is still largely unbanked. Its mission in seeking investment is to make India a leading bitcoin economy with the Coinsecure team believing the country is in perfect position to do. Up until now, bitcoin has seen greater adoption in China, America, Europe, and Japan. Coinsecure says they believe bitcoin has more to offer the people of India than in any other country. 13 hours ago-TREZOR says its bitcoin wallet "safest place for an event, even a chain split"